Original, Roots Country, Acoustic, Bluegrass sometimes gospel, always fresh and exciting! 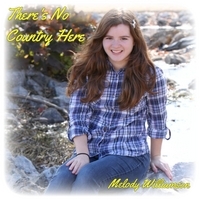 Raised on bluegrass, traditional country & gospel music, 15 year old Melody Williamson has been able to draw from the old to write fresh, creative, original music. Her voice is pristine! Her lyrics are insightful! And, Her melodies are captivating. Melody is also a fiddler and singer in her family's band Williamson Branch. This young lady is going to go far! Such an angelic sound! The truth about today's country. Well spoken, well sung, well produced. The timing of your song is perfect. Many of my peer group are pushing away today's "music road" produced pop country garbage. They are hungry for independent, and old-school country. This song is the anthem for what country music needs, in the hearts of many people. I can't wait to hear it on the radio! Dale Watson, George Jones, Dolly Parton, and now Melody Williamson. :) Thank you for sharing this song, and your talent.